It had been two weeks since I'd been to work on the house with my father. Last Saturday he didn't need me because he was waiting for the plumber or something so I stayed home. And you know what I did? I lay on my bed and stared at my cats. I didn't know what to do with myself. I was a waste of space. 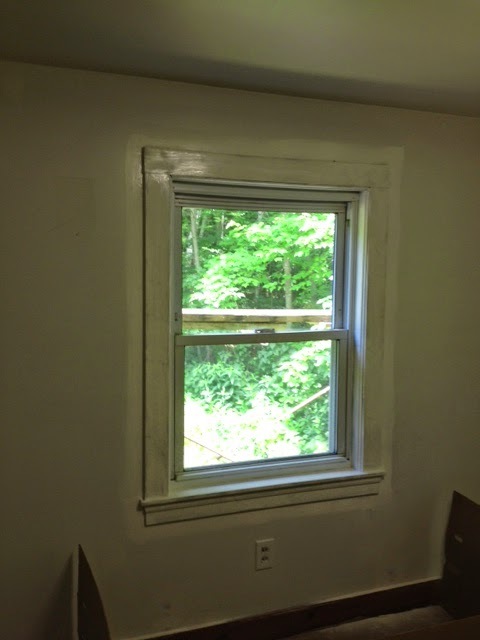 So this past Saturday I was able to head up there again and I was tasked with painting the downstairs bedroom windows. 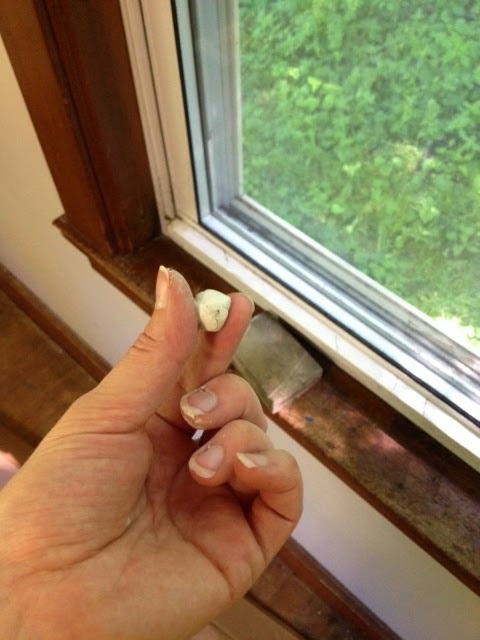 First, we started with painter's putty, which I'd never used before but reminded me of the tack I used in high school / college to stick posters to the walls. After filling all the holes in the frame I then did a first coat. 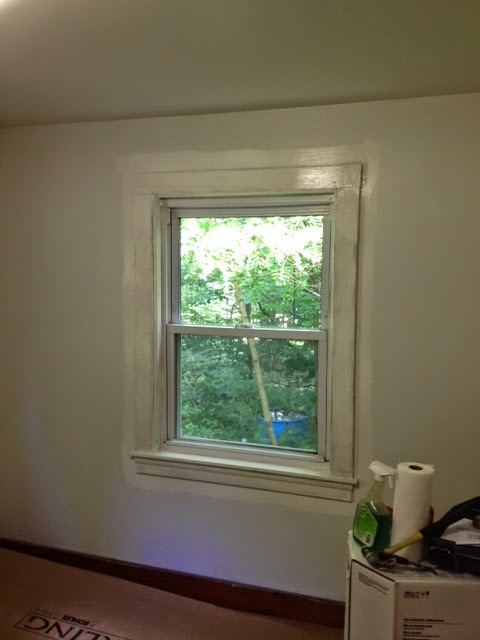 It doesn't look like much - I need to do a second coat tomorrow and I'll start on the walls. 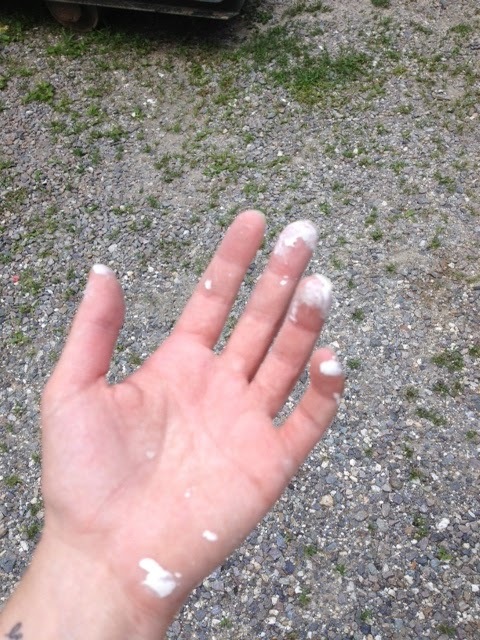 I somehow managed to not get any paint on my clothes, though my fingers had a mixture of putty and paint on them. However, the drama of the day came later that evening. I had gone home, showered and made a veggie dish with cilantro-lime dressing for a bbq I was heading to. But when I went to head out to the party I realized I had left my wallet in my father's truck which was an hour's drive away. I was pretty upset with myself. I had to go get my wallet because I was driving early the next morning to go surfing. So I didn't get to go to the bbq, I now have a surplus of salad, but at least I have my wallet back. Le sigh. As for book related stuff... I haven't begun editing and the long weekend is quickly approaching (fingers crossed for beach weather!) so I likely won't get into it until next week. And then it'll be no tv for a few weeks. Double le sigh.